How Do You Cool off in the Smoky Mountains? Want to beat the heat? Head for the hills. Temperatures are usually cooler at higher elevations, especially if there's water nearby. That's why summer's the perfect time to visit the Great Smoky Mountains. While the "flatlands" sizzle at 90 degrees and above, the Smokies usually remain in the 80s... with even cooler temps as you ascend the heights. 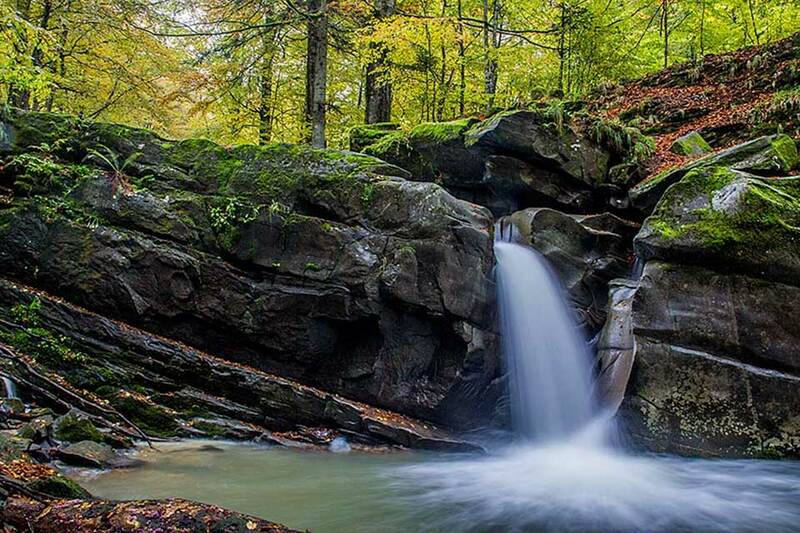 Remember the swimming holes of your childhood? You'll find some just like them only minutes from Pigeon Forge and Gatlinburg. Check out Townsend Y Swimming Area, a popular natural pool complete with an area to picnic and sunbathe. Play in one of the pristine pools on the West Prong of the Pigeon River. Or enjoy a cookout at the Metcalf Bottoms Picnic Pavilion, then splash in one of the nearby shallow swimming holes. ï	Go six miles east of Gatlinburg, turn at the Greenbrier entrance to the Great Smoky Mountains National Park, then drive to the trailhead to world-famous Ramsey Falls. The path to the Falls is steep and strenuous, but the view is truly worth it: a thrilling 100-foot drop over craggy rocks and lush vegetation. All in a green mountain setting with plenty of cooling shade. ï	Take the Middle Prong Trail, just minutes from Gatlinburg, to pass by three gorgeous waterfalls plus smaller cascades and cataracts. For heart-pounding excitement in a fresh, cool setting, try rafting the Pigeon River. Seasoned rafters will love the upper river, with its whitewater thrills and challenges. Beginners may prefer the lower river, with its calmer, more relaxing flow... ideal for families with younger kids. Ever hear of forest bathing? Pioneered by the Japanese, it's the practice of taking relaxing walks through gorgeous woodland greenery. Studies show that exposure to these restful scenes can help reduce stress and blood pressure. So, go ahead... stroll along a shady trail, such as popular Laurel Falls (rated "easy" and located near Gatlinburg). The shade will help shield you from summer temps, while the scenery soothes away stress. Of course, you'll also find plenty of indoor fun in the Smokies this time of year. 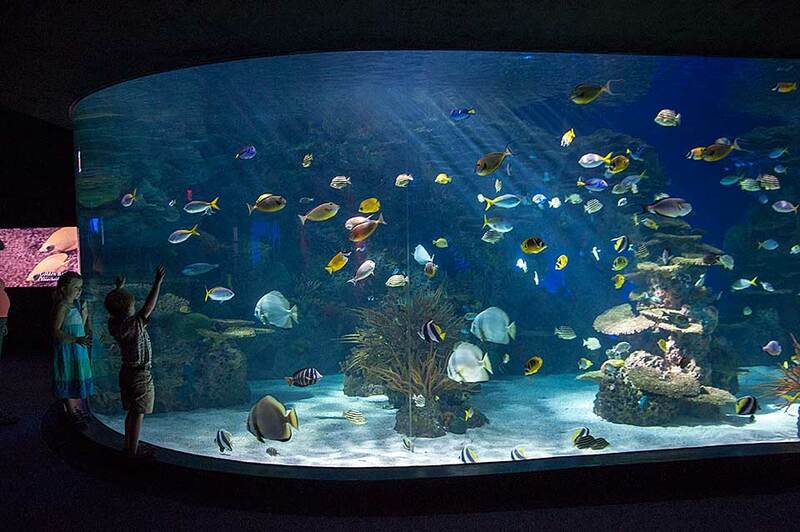 Take the whole family to Ripley's Aquarium of the Smokies for a thrilling up-close look at sharks, sting rays, countless exotic fish, and mermaids. (Yes, mermaids!) Visit RainForest Adventures Zoo, the Titanic Museum, WonderWorks, and other fabled attractions. Take in a family-friendly magic or music show in Gatlinburg or Pigeon Forge. Or just relax and unwind at one of the area's fine gourmet restaurants. Reservations fill up fast for late summer, so contact Volunteer Cabin Rentals now. We offer a wide range of comfortable cabins, all loaded with choice amenities and located just minutes from Gatlinburg, Pigeon Forge, and Sevierville. Book today!